Pro-grade fan with adjustable speed up to 2,600 rpm. 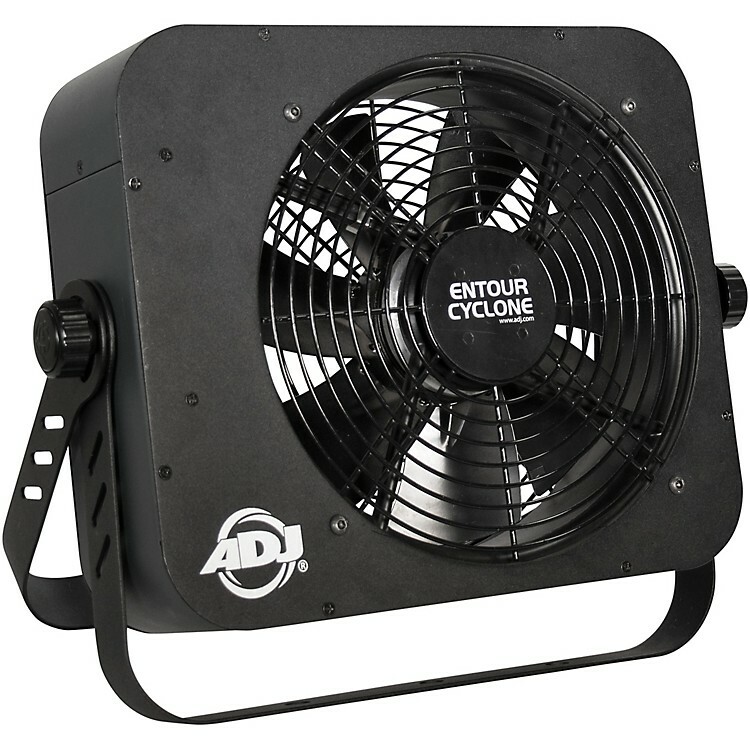 Ideal for spreading fog, as well as providing theatrical wind effects, the new ADJ Entour Cyclone is a versatile and powerful portable fan. It offers speed adjustment from 500–2,600 rpm and DMX operation, allowing air movement of any velocity to be triggered on cue. It also features a ¼” jack input socket that can be used to connect an optional remote controller, allowing it be used independently of a DMX system if required. With robust construction, the Entour Cyclone features protective metal grilles to the front and rear of the fan as well as a dual-purpose bracket that can be used to either stand the unit on the floor or attach it to truss or another similar support structure. It features both PowerCON input and output sockets, which means that the power supply for multiple units can be linked together. Order today for professional-grade air movement.